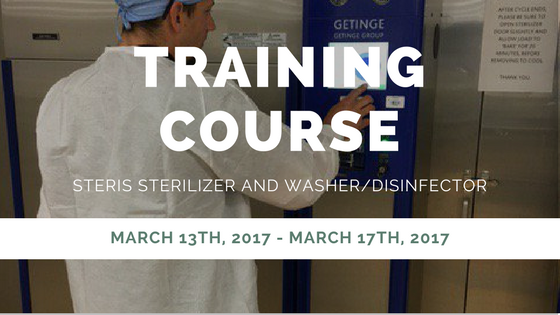 The course will be offered March 13th – 17th, 2017 at Auxo Medical in Richmond, VA.
March 17th, 2017 – Review for the final half day. Locate the preventive maintenance schedule and learn how to use it to perform OEM recommended preventive maintenance on the Amsco® Century steam sterilizers. Each Student will receive a hard copy or electronic copy of each of the manuals above as well as the Auxo assembled Training manual complete with detailed information and photos as well as a copy of the Steris Century Series In-service Video. Each Student will receive a hard copy or electronic copy of each of the manuals above as well as the Auxo assembled Training manual complete with detailed information and photos as well as a copy of the Steris 444 Series In-service Video.